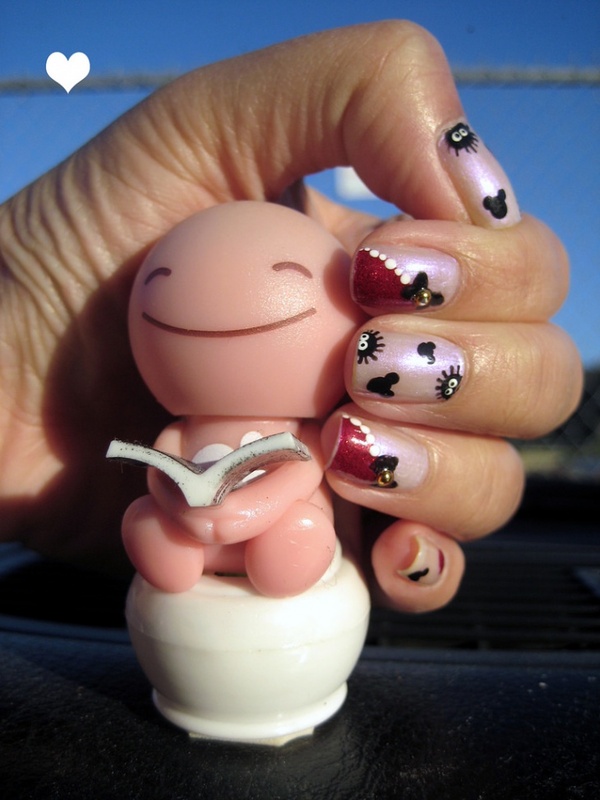 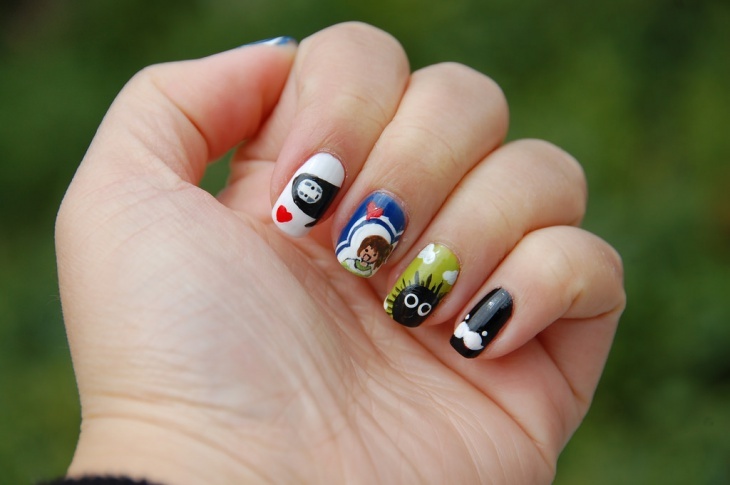 The Miayazaki nail art has earned its name after the famous Japanese animation film maker Hayao Miyazaki. 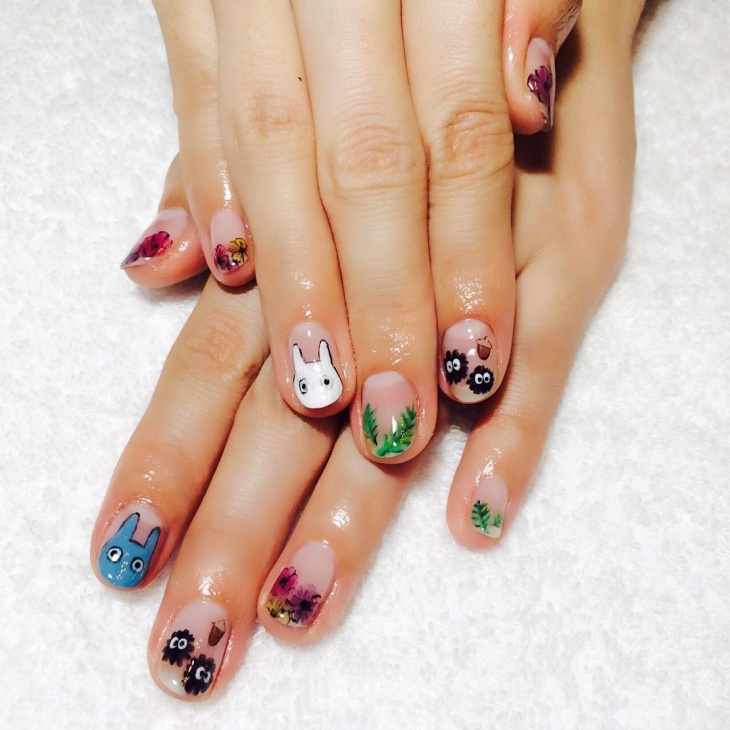 He is known for his lively characters, powerful plot and astounding animation have been instrumental behind his roaring popularity across Japan and worldwide. 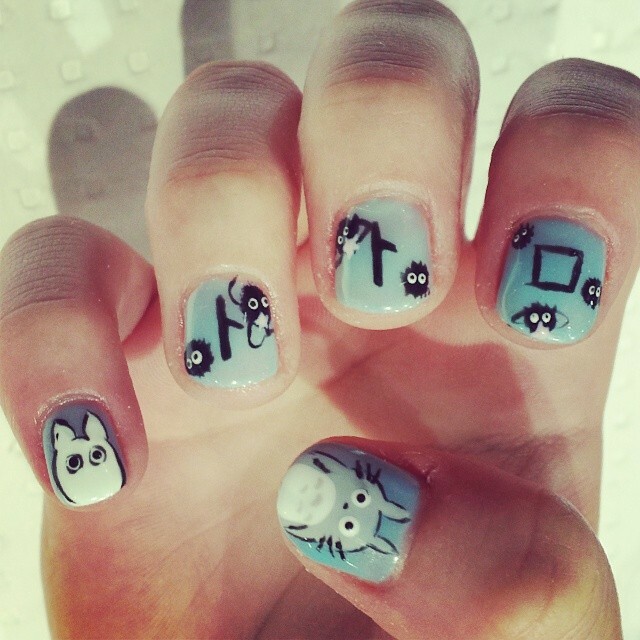 For the usual Miayazaki Nail Art the basic colours are turquoise blue, grey, black and white. 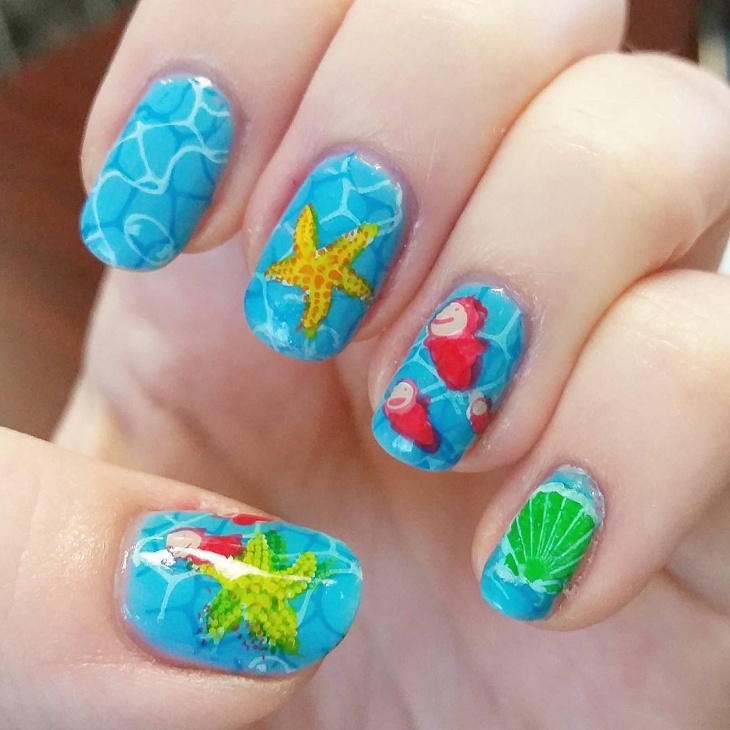 With a thin nail brush and dotting tools, you can create amazing figures on your long nails as they give you more surfaces to paint. 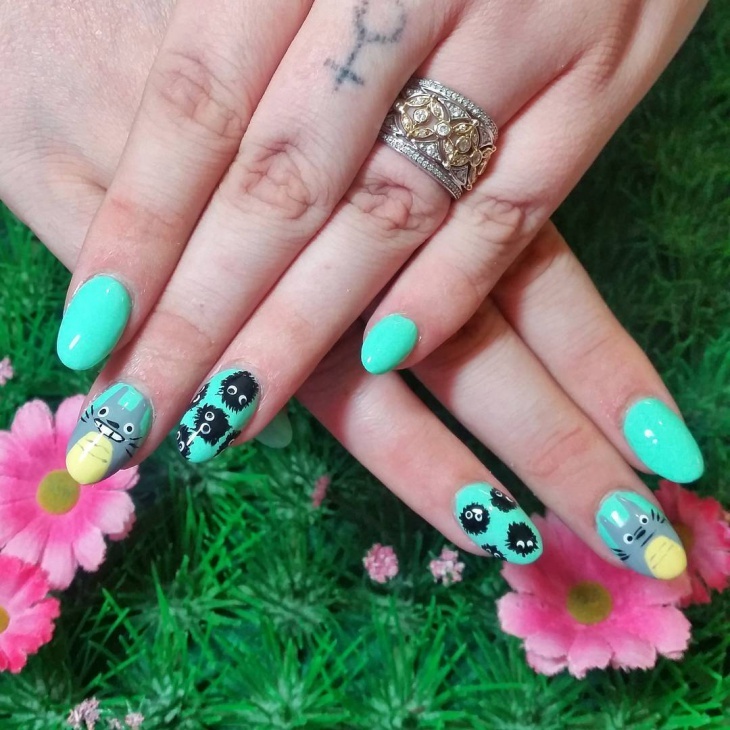 If you wish to give a special twist to your cute Miyazaki nail art, you can add some more colours to your nails that are vibrant and gaudy. 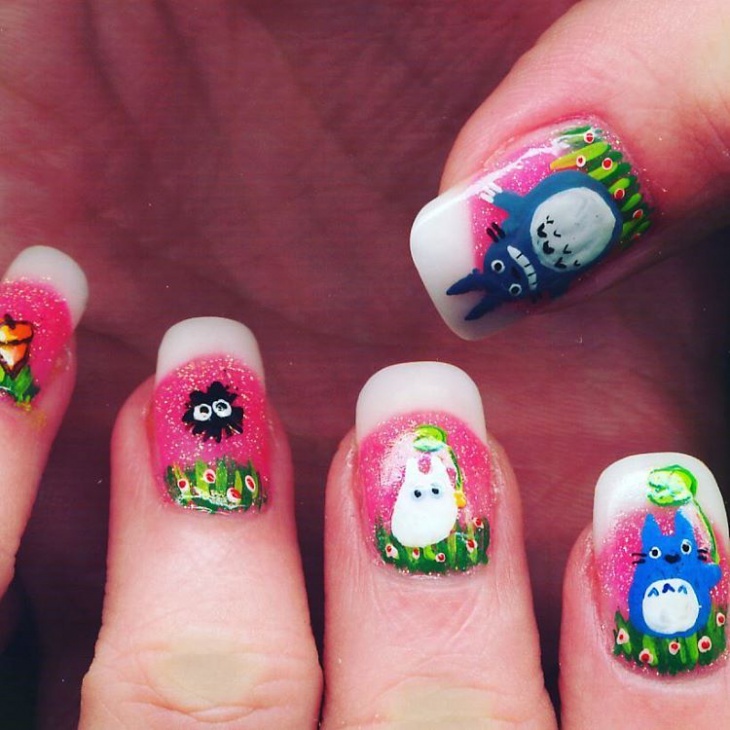 You can use blue or even a colourless base coat on which you can try out various characters of Miyazaki animation e.g. 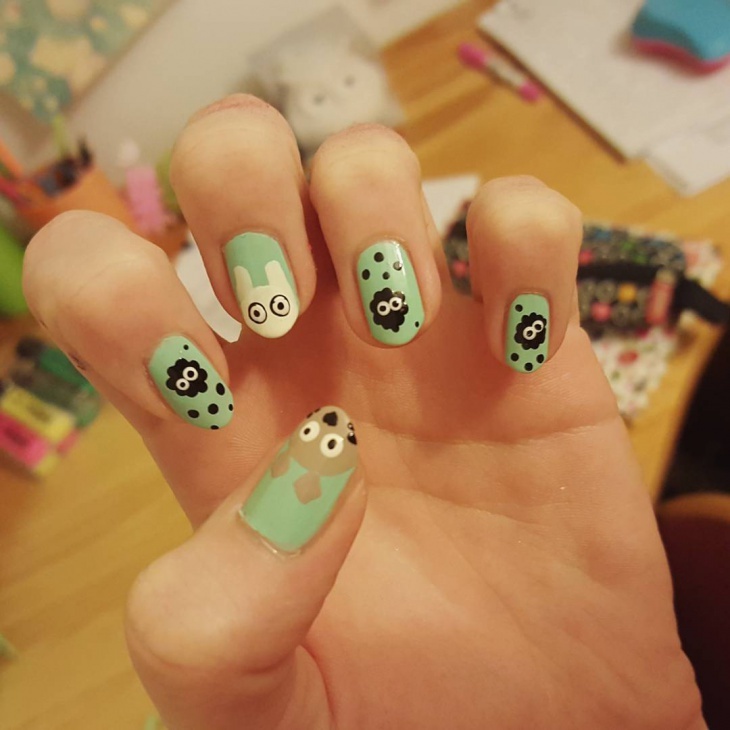 Forest Spirit, Jiji, Chibi Totoro, Sootballs, San and many more. 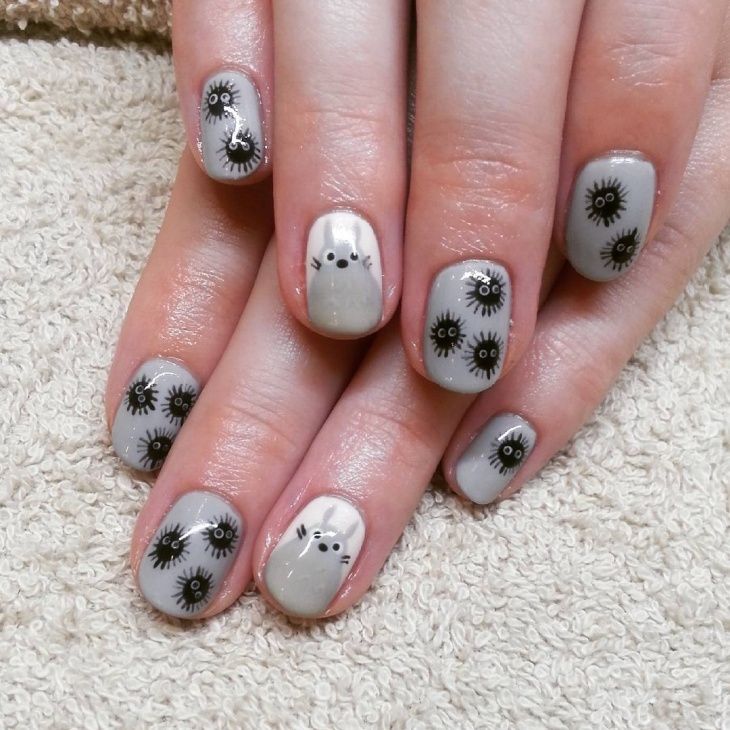 on a colourless glittering base coat, the lively images of the Sootballs can be perfect style for evening parties in summer. 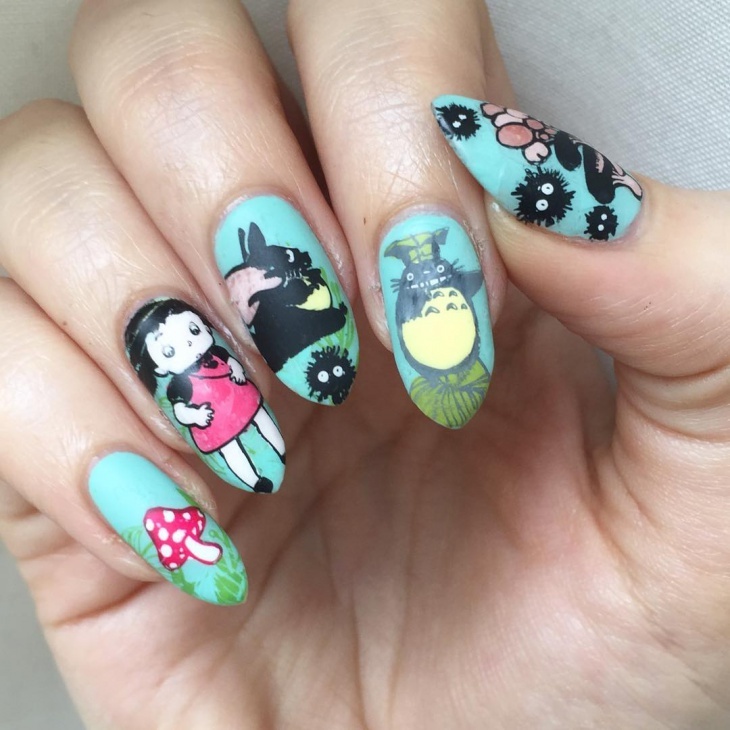 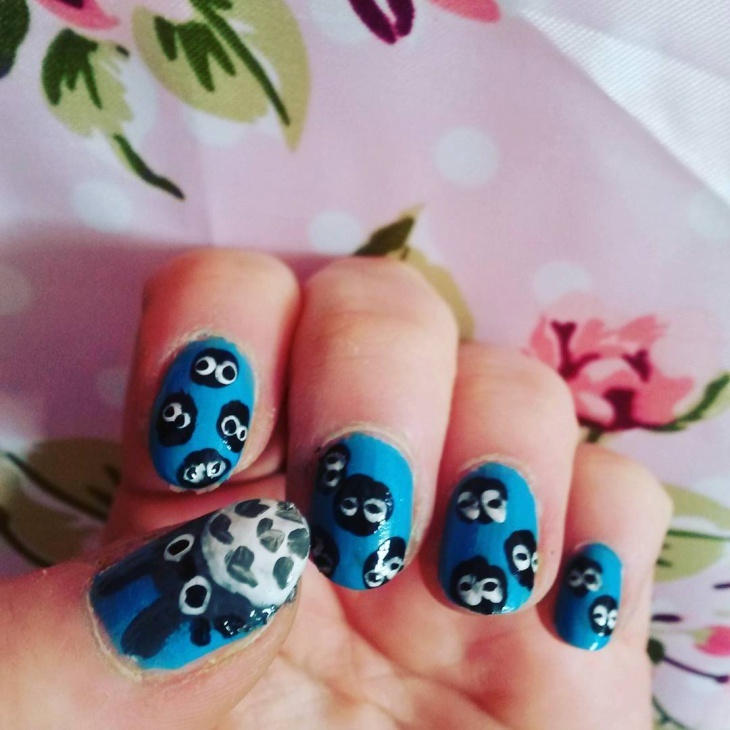 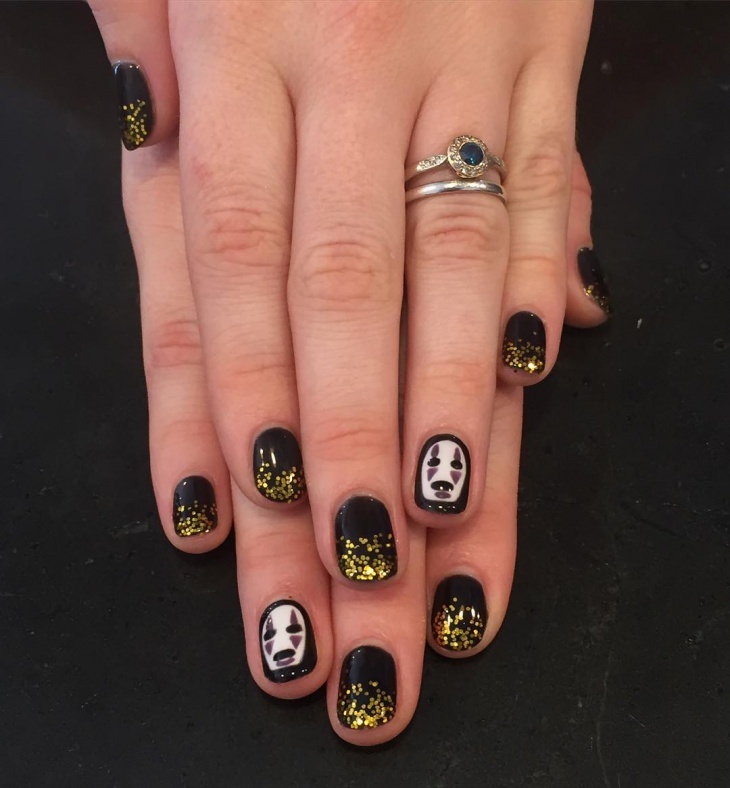 The Miayazaki Nail Art is an inspiration drawn from the films of Miyazaki and is dotingly flaunted by women who love to try unique makeup ideas. 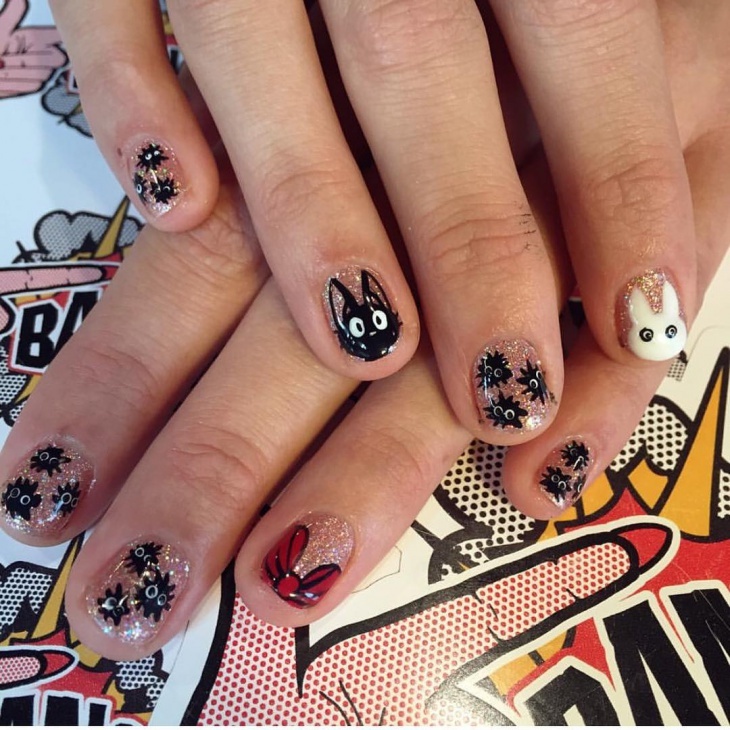 While the conventional Miyazaki nail art is a repetitive use of three to four colours, you can use your creative skill and give your nails a colourful punch. 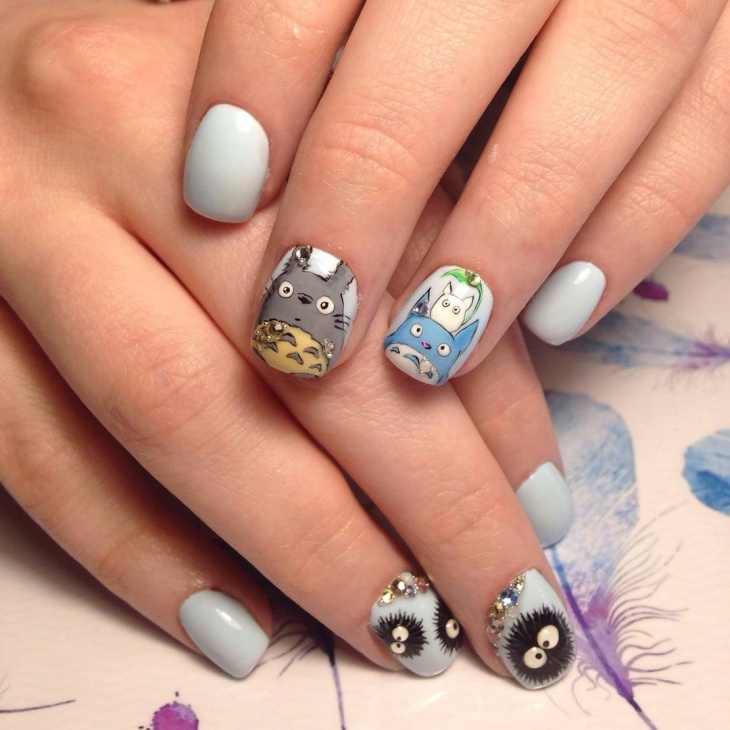 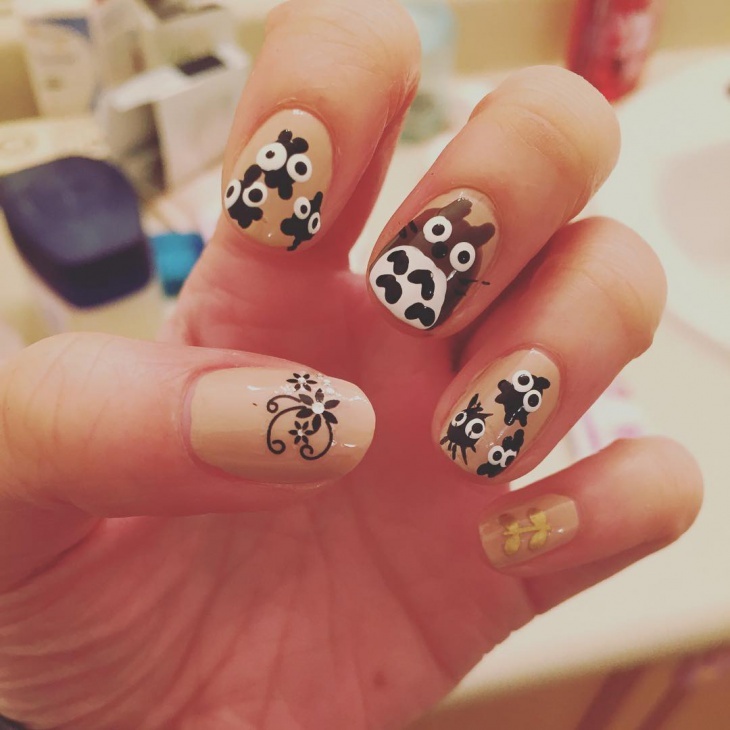 Among the Miyazaki Nail Art designs there are interesting designs that can make your nails look attractive and will reflect your artistic skill. 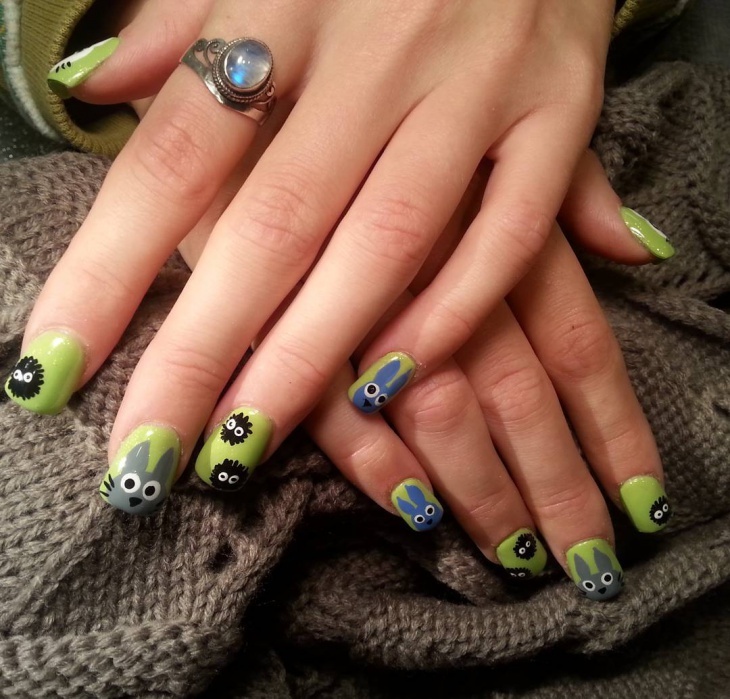 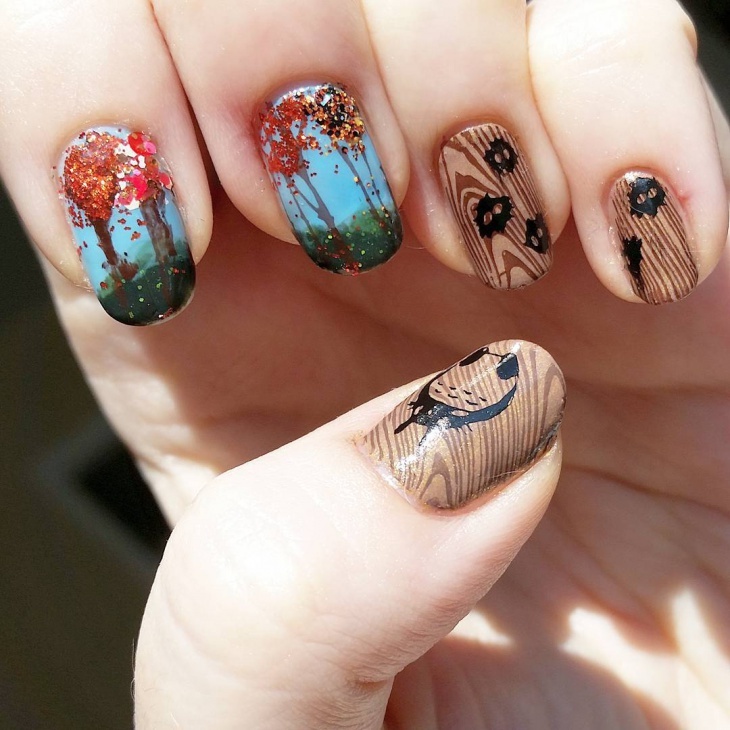 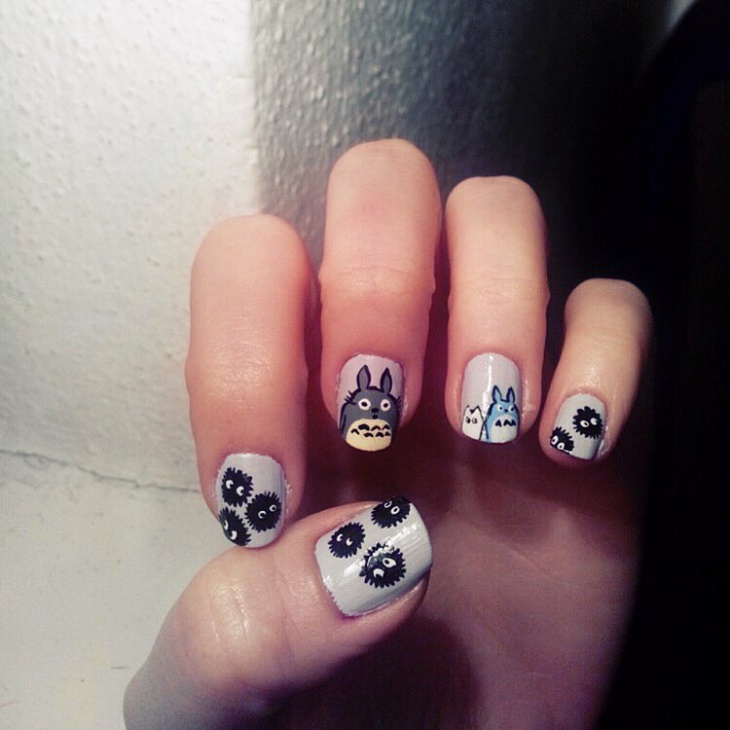 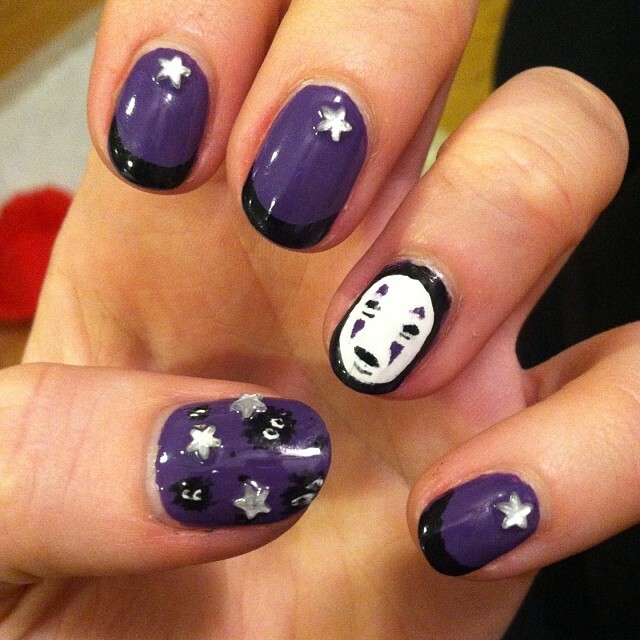 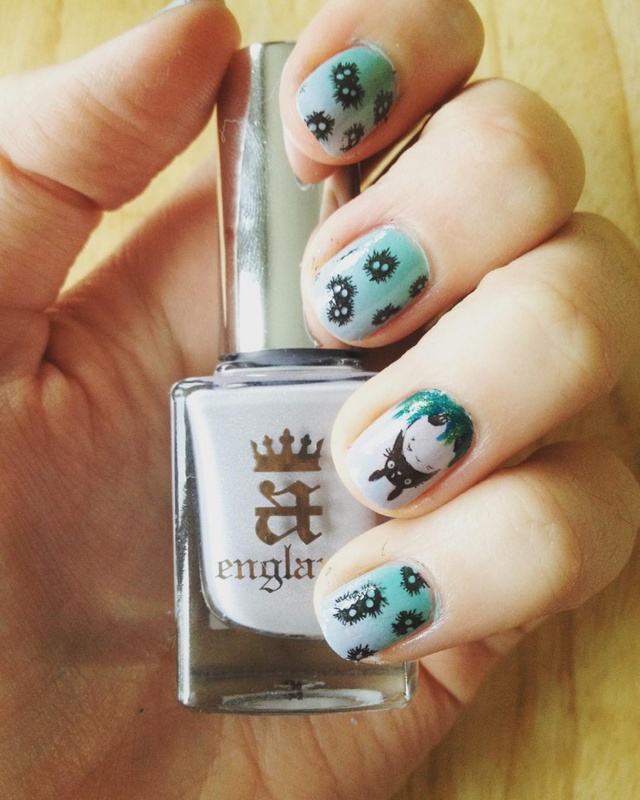 You can seek help of the online tutorials to create perfect Miyazaki Nail Art designs and rock any gathering!